Is anyone surprised that the American news media would seemingly take Iran’s side when it comes to Obama’s Iran deal? It shouldn’t, because they’re also taking Mr. Obama’s side along with being in full Trump Derangement Syndrome. The NY Times is super excited to slam Trump, rather than the extremists in Iran who are still hell bent on building a nuclear weapon, chant “death to America”, and want to wipe Israel off the map. In one “fact check“, in their zealous TDS they forget that Iran will not allow inspections of their military sites, where most nuclear research occurs. They’re thrilled that European leaders are slamming Trump. IN AN act of political vanity and geopolitical folly, President Trump has made one of the most serious national security challenges facing the United States, that of Iran, considerably worse. His announcement Friday that he would report to Congress that the Islamic republic is not meeting the terms of the 2015 multinational accord limiting its nuclear program flouted the reports of international inspectors, the unanimous counsel of his national security team and the appeals of key U.S. allies. His threat to terminate the agreement if Congress and America’s allies do not meet his demands for revisions could easily lead to Iran’s resumption of a race toward nuclear weapons — a dangerous course that the deal brokered by the Obama administration succeeded in arresting. The nuclear accord is flawed, including sunset provisions that remove restrictions on Iranian nuclear activities beginning eight years from now. But Mr. Trump’s hyperbolic claim that the deal is “one of the worst and most one-sided transactions the United States has ever entered into” is belied by the fact that the regime has gone from being less than a year away from being able to produce a nuclear device, according to U.S. intelligence estimates, to having a fraction of the necessary materiel, and that under close international monitoring. 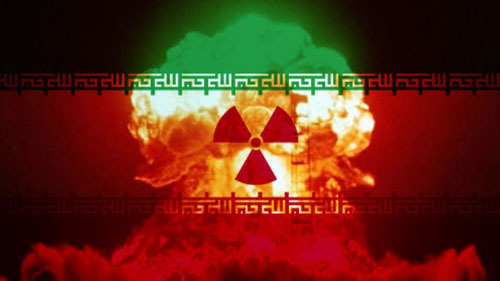 The president’s contention that Iran is guilty of “multiple violations of the agreement” is belied by eight reports of the International Atomic Energy Agency as well as statements by his secretaries of state and defense and the chairman of the Joint Chiefs of Staff. If there’s anything that shows that the deal should be renegotiated, it’s the sentence in bold, something which was known, but rarely put in print by any of the Obama supporting news outlets. All Obama did was kick the can down the road. Is the WPEB good with Iran building nuclear weapons in 8 years? Iran gets all the benefits. Ability to trade, getting all that cash from Obama, selling their oil, and so forth. Mr. Trump promised additional action to address the non-nuclear threats posed by Iran, including its interventions in Iraq and Syria. The administration is justified in imposing sanctions on Iran’s Revolutionary Guard Corps. But it appears to have no clear plan to address Iran’s military entrenchment in Syria, which is threatening to touch off a new conflict with Israel. Rather than tackling those urgent challenges, Mr. Trump prefers to renounce the legacy of his political nemesis Barack Obama and thereby reopen the one front where Tehran is currently contained. North Korea will take note: The United States cannot be trusted to stick to any nuclear accord. Except, the United States did not sign the accord, because it was structured, much like the Paris Climate Agreement, to avoid the federal body designated by the U.S. Constitution as the one to certify international deals. This is all spun in a manner to #resist Trump, to the point where US news outlets take Iran’s side.